A man was killed and another injured in a crash on the city's South Side Sunday afternoon. 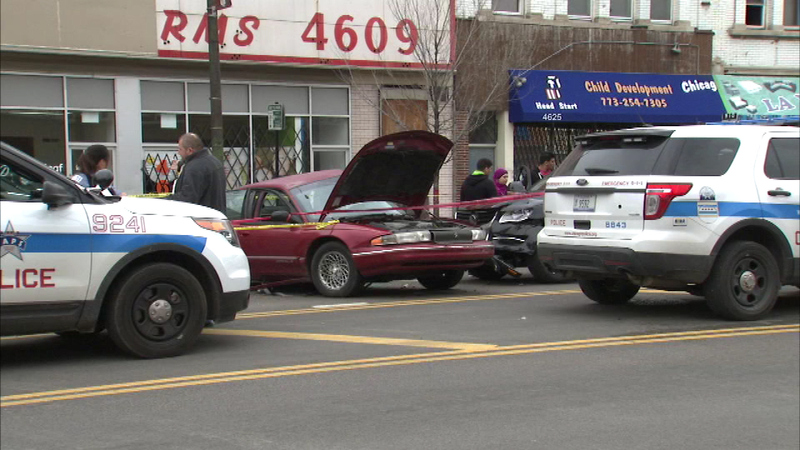 CHICAGO (WLS) -- A man was killed and another injured in a crash on the city's South Side Sunday afternoon. A 59-year-old man tried to make a U-turn at about 2:30 p.m. in the 4600-block of South Ashland in the Back of the Yards neighborhood when his car collided with a northbound car, police said. The driver and his passenger, a 51-year-old male, were both taken to Stroger Hospital. The driver died, according to police and fire officials. The younger man was listed in fair condition. The police Major Accident Investigations Unit is handling the case.